Buy Or Hire A Motorhome - Do you want to buy a Motorhome? Towards the end of 2016 we announced that we now sell motorhomes too. So do you hire a motorhome for your next motorhome holiday or do you want to buy a motorhome? We have put together some information to consider so that you make the correct decision that’s right for you. 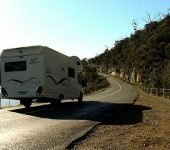 If you are considering buying a motorhome for your next motorhome holiday, there is a significant amount of costs that you need to consider. 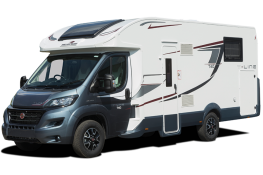 Not only will you have to pay the large lump sum to be able to make the purchase of the motorhome, but you will also have to consider the maintenance of the motorhome. Motorhomes are no different to any other vehicles on the road, they always need maintenance. If you’d only be using the motorhome a couple of times a year then it could be a very large cost for a very small return, this meaning that hiring a motorhome could literally save you thousands in the longer term as here at Priory we manage these costs. 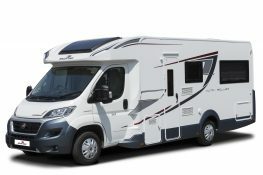 You also have to take into account depreciation of your motorhome. Just like any other vehicle your motorhome will depreciate in value the more you use it and the longer you keep it. Purchasing your own motorhome could lead to issues as you could be buying something in poor condition. 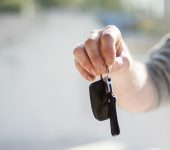 This can have huge implications to your motorhome trips and could prevent you being able to use the motorhome at all. This is the last thing you want having invested a lot of money and having planned a motorhome holiday. Instead, why not opt for a Priory Rentals motorhome? All of our motorhomes are looked after and maintained to the highest level. We make sure they are well maintained therefore they are not going to breakdown on you during your motorhome getaway. Another key aspect of a motorhome is the time taken doing the small things, these include things such as washing it every few months, cleaning the interior every summer just before its being used because of dust and deep cleans annually can all take a lot of time & can cost you money. Hiring a Priory Rentals motorhome means that the motorhome would have had these jobs undertaken before and after uses. All we ask is that you keep it to a reasonable level of cleanliness and we will handle the rest. You also have to think about the time spent decorating and buying all of the smaller items on the interior of a motorhome. However, with Priory Rentals, the majority of this is supplied within your purchase. Information and memberships can significantly aid your motorhome holiday. These allow you to be able to know if a campsite is amazing or otherwise, whilst giving you access to restricted campsites. 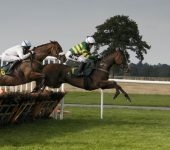 Priory Rentals is always happy to be able to share what we know. We also offer access to the Camping and Caravanning club Privilege Scheme to all of our customers. This allows you in hundreds of exclusive campsites you wouldn’t be able to enter otherwise. This exclusivity can help you avoid large crowds and in turn allow you to be able to get a good night sleep in the evening. Should I buy a motorhome? So when you take everything into consideration above. It really does depend on how much you are going to be using it. If you are only going on a few motorhome holidays this year then it may be best to just hire a motorhome. However if you a much more frequent traveller then buying a motorhome may be a great investment.